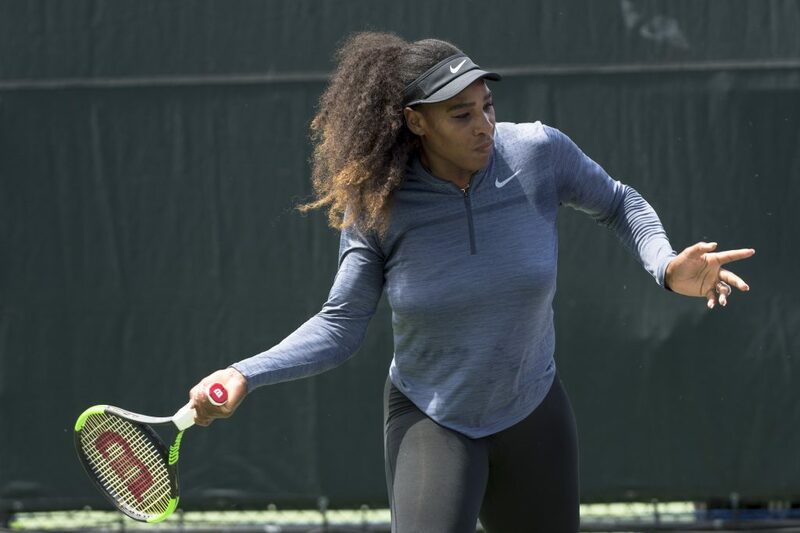 Former world number one Serena Williams has returned to competitive action following 13 months away from the court. The 36-year-old gave birth to her first child, Alexis Olympia Ohanian, Jr, on September 1st and she made her much-anticipated return to the court at Indian Wells in March 2018. After progressing to the third round in Florida, she was defeated by 6-3, 6-4 her sister Venus, despite starting the match as the favourite in the betting. The 2017 Australian Open champion continues to work on her match sharpness and she will undoubtedly improve with every passing match. But can she work her way back to the top of the WTA rankings? Serena Williams chose not to defend her crown in Melbourne at the beginning of 2018, admitting she “wasn’t tournament ready”. The most successful female player in the open era hadn’t played a competitive match for over 12 months and opted to prolong her much-anticipated return for a further six weeks. She reclaimed number one spot at the beginning of 2017 shortly before stepping away from the game and she will undoubtedly have her eye on returning to the summit in the near future. After 404 days away from the sport, tennis fans were delighted to see Serena Williams back in competitive action on March 9th. Zarina Diyas, ranked 53 in the world, offered very little resistance as the returning star prevailed 7-5, 6-3 in just over 90 minutes in Florida. Supporters held up banners which read, “Welcome home, Serena,” and her entrance provoked a raucous reception. She admitted that she was “excited to be here” and also told reporters that she “couldn’t help but smile” upon seeing the level of support she had received. Serena Williams warms-up for her match against Naomi Osaka at the 2017 Miami Open. She was defeated by a resurgent Naomi Osaka in the first round of the Miami Open with the Japanese player winning 6-2, 6-3. Although the 20-year old is only ranked 68 in the world, she is one of a number of players who are upwardly mobile and she picked up her first career title at Indian Wells in mid-March. Serena’s schedule will be managed carefully going forward. She is likely to continue practising and working on her match sharpness before playing another tournament. She clearly still has the hunger and appetite for the game, which is hugely encouraging and it should see her start to climb up the standings. She has been given a protected ranking and can use this to enter eight different tournaments this year, including two grand slams. However, she was not seeded for the events in Miami and Florida and as a result, was dealt a tough draw. Serena Williams during her match against France’s Amelie Mauresmo during the Wimbledon Championships 2008. It isn’t known how many tournaments she will choose to compete in this season, but her coach has insisted she is keen to feature in both the French Open and Wimbledon and is also likely to challenge for her seventh US Open title at the end of September. Her status in the game allows her to be a little more selective this season and she is unlikely to be as prolific as 2014 and 2015, where she made 60 and 53 appearances respectively on the main tour. She’s already been entered into the Italian Open, which takes place in Rome at the beginning of May. Can she get back to her best? As any professional athlete will testify, it isn’t easy to return to peak form after a period on the sidelines. Serena isn’t just returning from a run-of-the-mill injury and it can’t have been easy for her to get back into the swing of things. There were complications during the birth and there’s the small matter of sleepless nights and other off-court distractions. She returns to the game at a time when a number of younger players are beginning to make an impact with the aforementioned Naomi Osaka, Daria Kasatkina and Elina Svitolina all playing some excellent tennis and securing titles. Even a half-fit Serena Williams is still hugely effective and can overpower the majority of players on the tour. The 36-year old continues to improve her fitness and is making good progress. She is determined, motivated and is adamant she will return to her best. Although she’s remained relatively injury-free throughout her career, she has shown that she isn’t averse to overcoming layoffs. After eight months away from the court in 2004, she reached the quarterfinals of the French Open and in 2009, she was defeated by Venus upon returning from a knee injury.